The Syndicate has just the two runners this weekend. 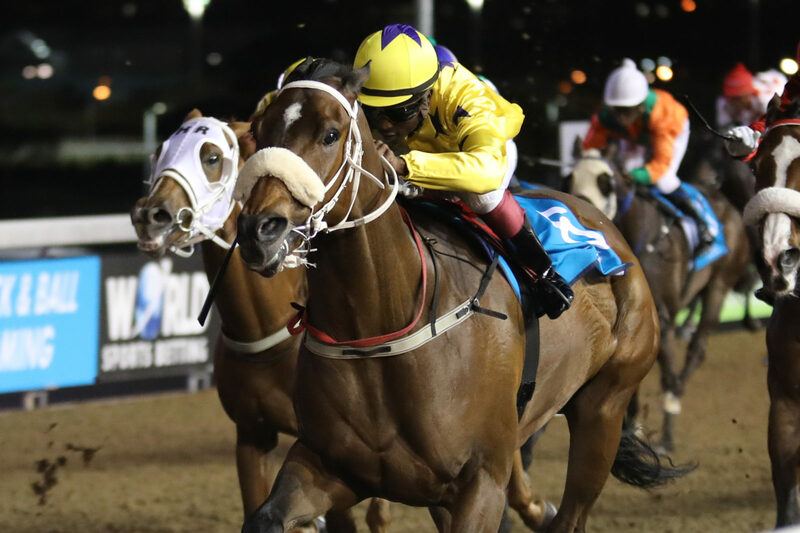 Alphamikefoxtrot makes his handicap debut at Turffontein on Saturday 19th January 2019 and Agent Murphy looks to go one better in the opener at Scottsville on Sunday 20th January 2019. See more about their chances here. He finally exited the maidens as last year was drawing to a close, that was at his 23rd attempt and very well deserved in the end. He now attempts his handicap debut, a MR65 handicap which he may find a little tough being his first effort under handicap conditions against hard knocking opposition. His previous attempt at this course and distance resulted in a narrow 0.75l beating, so with that in mind he won’t just be making up the numbers. The additional 4kg claim will also be a major benefit. As far as our expectations are concerned, we will be looking to see him give a decent account of himself, but he may just need that MR to drop a few points before he becomes competitive again. Winning Form Comment: Deserved maiden winner, faces much stronger but watch on handicap debut. His debut went as expected, however he just met a slightly more progressive horse on the day – in the form of Astrix. The winning margin that day was rather flattering for the eventual winner, with Anton Marcus gearing Agent Murphy down once it was evident that he wasn’t going to catch Astrix. Agent Murphy will have made the natural improvement and should be quite hard to beat this time around. We will be tipping him to land up in the winners enclosure. The potential danger in the race is probably Mr Minster, from the Mike Miller yard. She will benefit from the 2.5kg off her back. Winning Form Comment: Pleasing debut when strongly fancied, should make natural improvement.